The third book in Lia Riley’s Off the Map series is out in coming out in print! 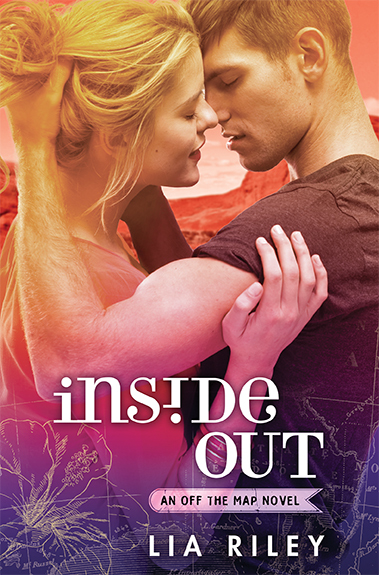 Inside Out is a great book and I would definitely recommend it and the rest of the series to those who enjoy New Adult novels. As part of the Print Release Blitz I had a chance to ask Lia a few questions. I’m really happy I had this opportunity because she’s easily become one of my favorite authors. Talia Stolfi is deeply in love with the brooding Aussie surfer who stole her heart-but their infrequent letters only get her so far. While she fulfills her dream of being in the Peace Corps, a dangerous condition jeopardizes her life . . . and threatens to shatter her heart. After nearly losing Talia forever, Bran Lockhart sailed to the stormy seas at the ends of the earth. Deep down, he knows that all roads worth traveling lead back to the beautiful California girl with the sunny smile. There’s no denying that he belongs with her, but to have her by his side means Bran must dare to do something he’s never done before: hope. Everything they’ve fought for has come down to this moment. Can Talia and Bran discover the courage to claim their future and learn that sometimes, in order to earn true love, you need to venture off the map? Q: Was it always your intention for Bran to propose to Talia? Great question and No! Nope! No way! In fact, the first draft had no proposal and for Talia and Bran to be happily living together in San Francisco but it was missing something. This is why a good editor is worth a million billion dollars. She challenged me to go bigger, dig deeper. I scoured the last few chapters and when I had them get lost backpacking, “off the map” all of a sudden I knew what I had to do. The characters were MUCH happier as a result. Q: Did you have other proposal sites in mind or was it always going to be Yosemite? Like I said, this was as much of a surprise to me as to the reader, but since I was married in Yosemite, I’m extra special happy that was the location. Q: How did it feel to submit the final edits on Inside Out? Surreal! I lived and breathed Talia and Bran for the better part of the year. and still miss them. They were a blast to write and I might have snuck Bran into my upcoming novella “Into You Arms” (out September 8th) because I wanted to see him again. Q: How has the blogging community helped you get to the point of printing the series? The blogging community has been so much fun to get to know and interact with! Writing is such a solitary activity and it’s so wonderful that there is this whole tribe of avid, supportive readers out there. I’m so grateful for these friendships. Enter here for your chance to win the either the Off the Map set or a copy of Inside Out. 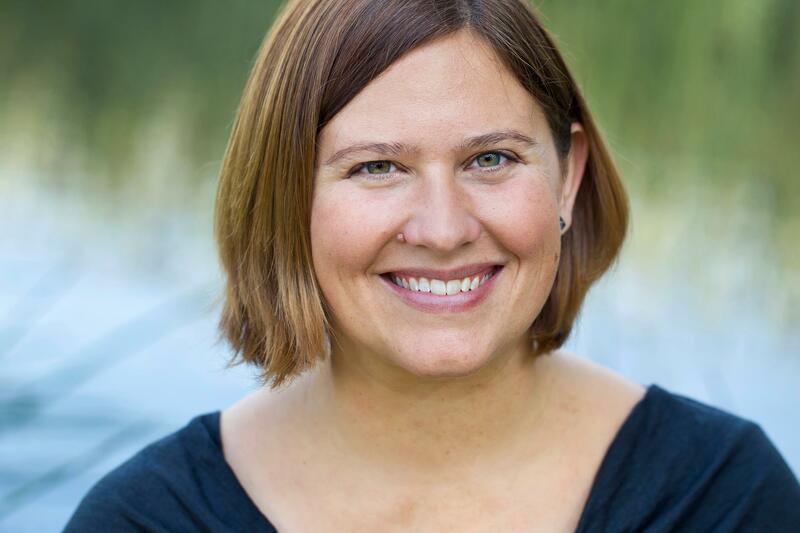 After studying at the University of Montana-Missoula, Lia Riley scoured the world armed only with a backpack, overconfidence and a terrible sense of direction. When not torturing heroes (because c’mon, who doesn’t love a good tortured hero? ), Lia herds unruly chickens, camps, beach combs, daydreams about as-of-yet unwritten books, wades through a mile-high TBR pile and schemes yet another trip. She and her family live mostly in Northern California.